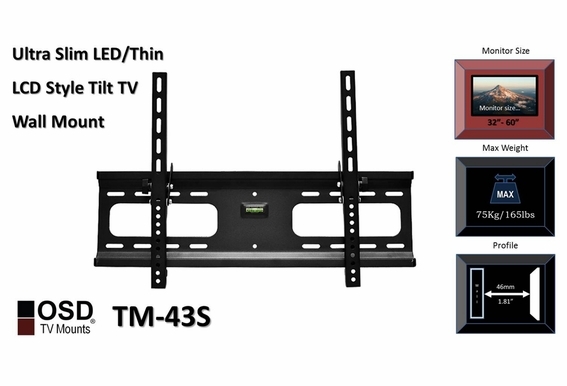 The most common use of tilt mounts is above fireplaces where mounting a screen can be tricky. 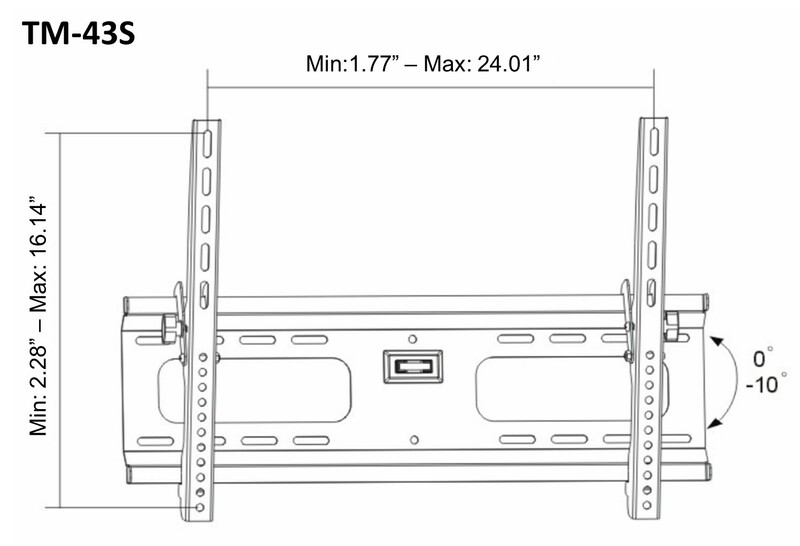 The OSD TM-43S for plasma, LCD, and LED TVs can hold monitors from 32”-70” and weighing as much as 165 pounds. 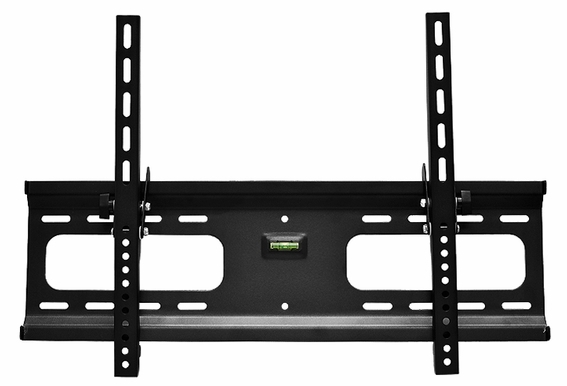 This is a sturdy mount with a purpose—to mount a high definition TV in areas like fireplaces where the viewing is above eye level and may require a slight tilt for optimization. 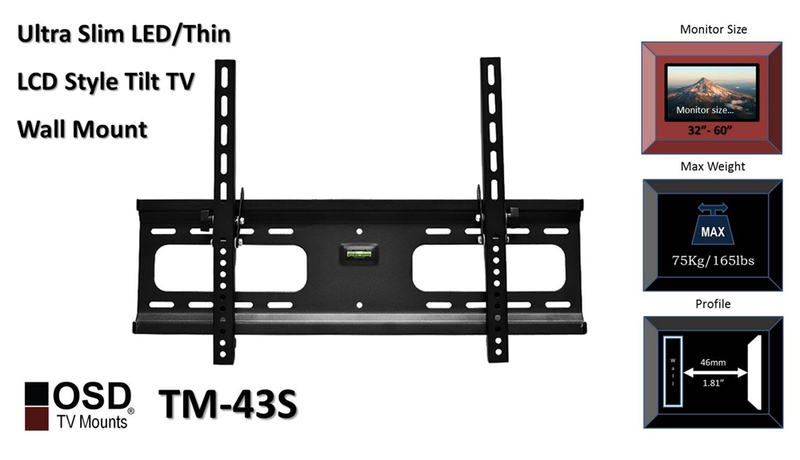 The TM-43S can tilt as far as 10 degrees downward and is VESA compliant. Like all OSD mounts, hardware is included. 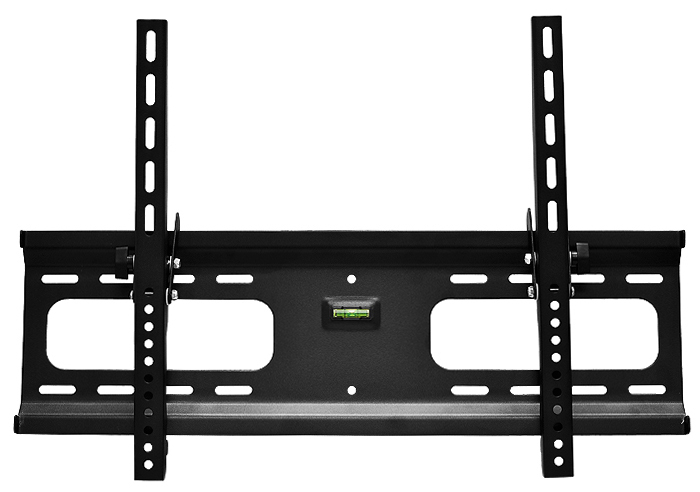 Can you position the mount where it is fully upright w/o the 10 degree tilt or is it always on a tilt? You can position it fully upright. The tilt is from 0-10 degrees.